If you are struggling to keep up with your bills, you may feel that there is no hope and that you’re destined for a dire financial future. However, many people qualify to file for Chapter 7 Bankruptcy, and you may find that this is an option that will be the way to can regain control of your finances. There are a few different forms of bankruptcy that one can file. 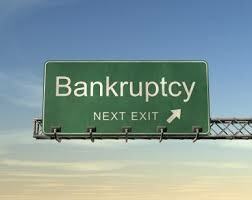 Chapter 7 bankruptcy is the most common, and it offers complete and immediate relief from your overwhelming debt. Generally, people who have an overwhelmingly amount of debt have some type of misfortune, such as losing a job unexpectedly or having a high amount of medical debt. A chapter 7 bankruptcy is a liquidation bankruptcy, which means that most of your assets are liquidated in order to satisfy your debt. There are some exemptions to the asset liquidation. Generally, you can keep your home and you are also allowed to keep some furnishings in your home. The court does not expect you to sell every asset you own, leaving you homeless and unable to work. The whole point of filing for bankruptcy is so you can start over, so certainly the court allows you to still live in your home and have the ability to get to and from your job. There is a qualifying factor for Chapter 7, however. If you are deemed to earn more than the allowed threshold, you will need to file for Chapter 13 bankruptcy. When you talk to a bankruptcy attorney, they will be able to take a look at your financial situation and advise you accordingly. While this article focuses on Chapter 7, it is certainly helpful to provide a small overview of Chapter 13. This type of bankruptcy is known as the “wage earner’s” bankruptcy because it is more of a debt consolidation. You are on a spending and repayment plan with this type of bankruptcy, but this is a less severe form because you don’t need to worry about selling your assets to pay off your bills. If your financial situation is out of control, talk to a bankruptcy attorney today.